The Ceres quickdraw makes no compromises in function or safety. Hot forged technology puts the load bearing material where it counts to maximize strength and minimize weight. Lighten up your backcountry rack. Dyneema slings in a variety of lengths from 11cm sport-draws to 25cm draws for reduced walking on cams or nuts. 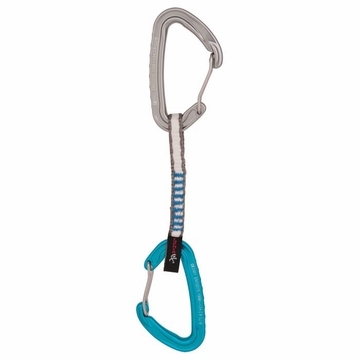 Alpine version comes with 7mm Dyneema 60cm sling. 6 Packs come with locking Firefly carabiner.